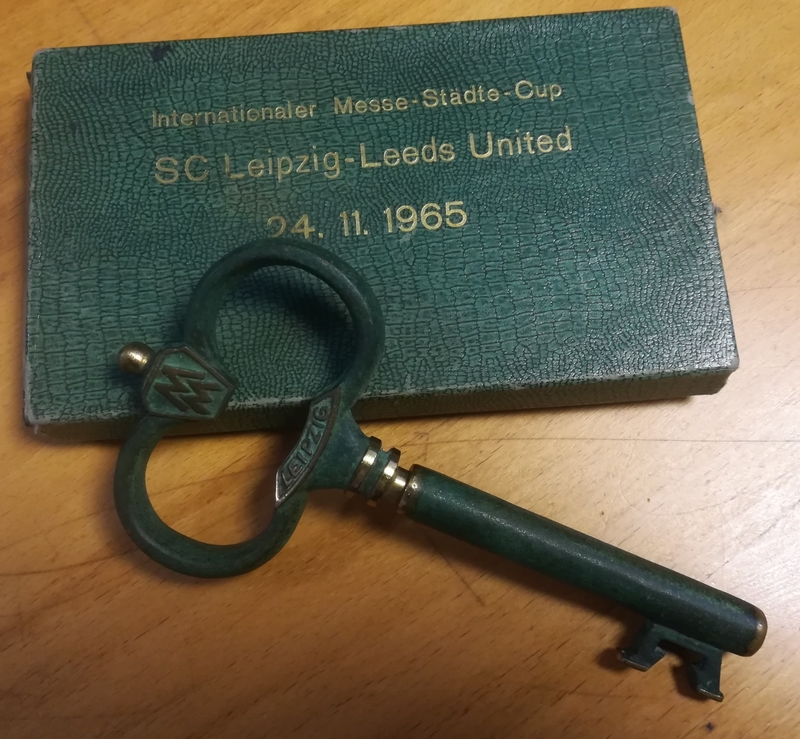 This souvenir was produced to commemorate the Inter-Cities Fairs Cup match between SC Leipzig and Leeds United on 24th November 1965. Peter Lorimer and Billy Bremner both scored for the Yorkshire side, as they left the other side of the Iron Curtain with a 2 – 1 win. A goalless draw at Elland Road for the return leg would put them through to the next round against Valencia. Leeds would reach the Semi Final, going out in a playoff against Zaragoza. The key actually separates into two parts, hiding a neat little corkscrew – those clever Germans!